Steven Spurrier, the British wine expert, has visited the Okanagan several times in recent years, favouring the region with perceptive observations. For example, he suggests “buying the house” rather than choosing Okanagan wines by terroir. The Okanagan terroir is incredibly complex due to the complexity of the soils, the complexity of the exposures and the general lack of homogeneity of the vineyards. There is much to explore about the terroir. Some wineries have figured out the viticulture better than others. If the wines from certain wineries satisfy your palate, just keep buying those wines regardless of the appellation or sub-appellation on the labels. It may take another century or so to identify our Coonawarras with certainty. Spurrier’s advice comes to mind when tasting wines from Kettle Valley Winery at Naramata. The house style seems to be quite settled. And so it should be: owner/ winemakers Bob Ferguson and Tim Watts have been growing grapes and making wine on the Naramata Bench for more than 25 years. 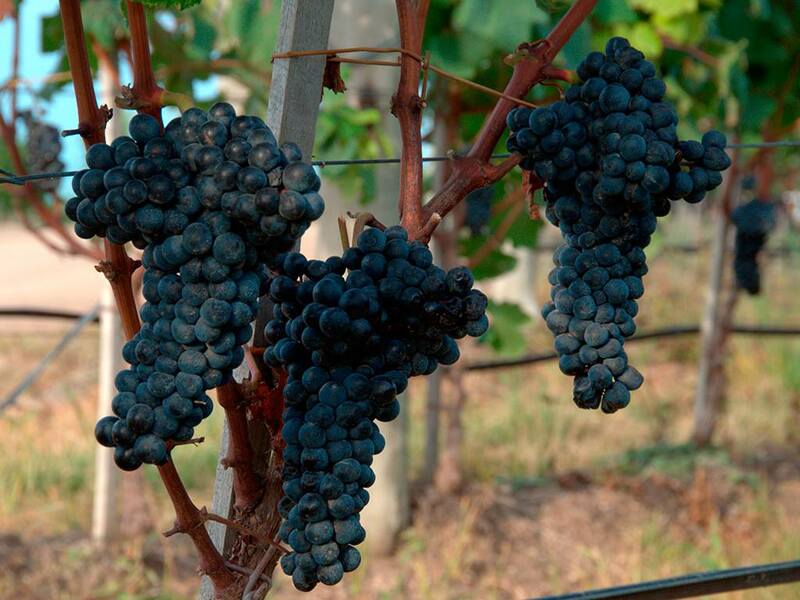 They make single vineyard wines, such as the Hayman Vineyard Pinot Noir, which reflect the terroir well. They also make wines with grapes from several vineyards. The Pinot Gris grapes are from vineyards in four distinct vineyard regions. The terroir is blurred in favour of a specific house style. Kettle Valley’s followers know what to count on. The reds, whatever the varietal, are bold, muscular wines that can easily be aged for 10 years and almost certainly longer. The whites also are distinctive, with ripe fruit flavours. This winery likes to leave grapes on the vine until a ripeness of around 25 Brix is reached. They are not left to hang to achieve high alcohols but rather to achieve flavour. High alcohol is a tolerated consequence. The bottom line with Kettle Valley is that the style of the wines is consistent vintage after vintage. It makes the case for buying the house. Here are notes on three recent releases. Kettle Valley Pinot Gris 2015 ($24). The deep magenta hue of this wine is the result of soaking the crushed grapes on the skins for two days prior to fermentation. A portion of the wine was fermented in barrel; the rest was fermented in stainless steel. This is a robust dry wine that mainline Pinot Gris stylists would consider eccentric. It has aromas of ripe plums that lead to robust fruit on the palate. This is a versatile wine with a wide array of foods. 90. Kettle Valley Hayman Pinot Noir 2014 “John’s Block) ($38 for 88 cases). This wine is an homage to the late John Levine, a connoisseur of Okanagan wine in general and of the Pinot Noir from this one block in the winery’s Hayman Vineyard. Aged 19 months in French oak, the wine begins with deep aromas of cherries and toasted oak. On the palate, the flavours of cherry and plum mingle with dark fruit and oak. There is a hint of vanilla on the finish. The depth and concentration of this wine reflects a great vintage. The wine is approachable now with decanting but has structure to age well into the next decade. 92. This Howard Soon’s 20th year as the winemaster for Sandhill Wines. And it is the second year in which Sandhill releases two ultra-premium wines with Howard’s name on the label. This legendary Okanagan winemaker, widely respected by his peers, deserves this tribute. He was born in Vancouver in 1952, the grandson of a shopkeeper who emigrated from southern China in the 1880s. He holds a 1974 biochemistry degree from the University of British Columbia and began his career working in a large brewery. After five years, he joined, he joined Calona Wines in 1980 as a quality control supervisor. He was promoted to assistant winemaker in 1981, subsequently became the chief winemaker. Sandhill Wines was launched in 1997 as a boutique brand within Calona. Sandhill is differentiated both by its premium wines and by its philosophy: Sandhill’s wines have always been made from single vineyards which are identified on the label. Originally, there was to be a separate winery on the Sandhill Estate Vineyard on Black Sage Road. Indeed, when that vineyard was planted, two potential winery sites were set aside. Those plans were ultimately shelved after Andrew Peller Ltd. bought Calona and Sandhill in 2005 and invested instead in additional vineyards. Several years ago, however, Peller added a large and somewhat theatrical tasting room and wine shop to the venerable Calona winery in downtown Kelowna. That is where Howard now hosts tastings and that is where Howard Soon wines are sold. These are the signature wines for a winemaker who had had a longer career at a single winery that anyone else in the Okanagan. The greatest single vineyard from which Howard has received grapes has been the seven-acre Phantom Creek Vineyard on Black Sage Road. The last vintage in which those grapes were available to Howard was 2015. The vineyard (along with the Sundial Vineyard) was acquired last year and will anchor a winery called Phantom Creek Estates. Sandhill now sources some premium reds from Vanessa Vineyards in the Similkameen. This 100-acre vineyard has relatively young vines but it holds the promise of high quality wines as well. Certainly, the flavour profile differs from Phantom Creek. That simply underlines the Sandhill philosophy of making single vineyard wines that display the terroir and individuality of each and every vineyard. The Howard Soon wines stand at the peak of the Sandhill pyramid. There are wines in a value-priced tier, capped by a “small lots” tier and now by the Soon series. Here are notes of some of the wines, tasted with Howard in the palatial Kelowna wine shop. Sandhill Rosé 2016 ($15.75). This is primarily a blend of Sangiovese and Barbera. It presents with a delicate pink hue, leading to aromas and flavours of strawberry and cranberry. The dry finish makes this an excellent rosé with food. 90. Sandhill Cabernet Franc 2014 ($17). This is a new release in a series called “Distinct Wines.” The wine shows the classic bramble aromas and flavours of the variety. The fruit is framed with subtle oak notes. 90. Sandhill Small Lots Petit Verdot 2014 ($N.A. for six barrels). This wine is typical of the variety, with a dark colour and with a dense texture. It begins with a perfume of violets mingled with black pepper, leading to flavours of blueberry and black cherry. The finish is very long. 92. Sandhill Small Lots Barbera 2013 ($26 for 10 barrels). This wine has bright and spicy fruit on the nose and the palate, with flavours of blackberry and cherry and a hint of pepper on the lingering finish. 90. Sandhill Small Lots Sangiovese 2014 ($27.49 for 23 barrels). 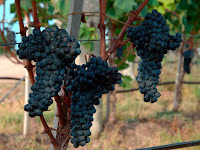 Sangiovese may be the great red of Tuscany but it is rarely grown in the Okanagan. It is said that Sangiovese “does not travel well.” You would not know it from tasting this wine. It has aromas and flavours of cherry, with licorice, leather and spice on the finish. The 20 months this aged in French and American oak has given the wine a polished, full-bodied texture. 91. Sandhill Small Lots Two 2013 Sandhill Estate Vineyard ($32 for 13 barrels). This is 69% Cabernet Sauvignon, 31% Merlot. With time in barrel, the Cabernet Sauvignon flavours have developed to show sweet black cherry and cassis flavours. The tannins are ripe and firm, suggesting good age-ability. 92. Sandhill Small Lots One 2016 Vanessa Vineyard (barrel sample). This wine is a co-fermented blend of Cabernet Franc, Merlot and Cabernet Sauvignon. Early in its aging process, this is a promising successor to the previous succession of Phantom Creek wines. The profile seems brighter, with minty and floral aromas and with brambly flavours. 90-92. Howard Soon Chardonnay 2015 Sandhill Estate Vineyard ($60 for 140 cases). The grapes for this wine are from an exceptional single block of 19-year-old vines. This elegant wine was aged nine months in barrel (85% French, 15% stainless steel). It begins with buttery aromas of citrus and apple. On the palate, subtle oak frames the vibrant citrus flavours. 92. Howard Soon Red 2014 Phantom Creek Vineyard ($60 for two barrels). This is 71% Cabernet Sauvignon, 16% Petit Verdot, 8% Malbec and 5% Merlot. This wine displays the triumphal achievement of a veteran winemaker with grapes from a superior vineyard in the Okanagan’s best vintage (so far). It begins with seductive aromas of black currant, black cherry and vanilla. The palate is rich and intense, with ripe dark fruit, black cherry, black currant ands vanilla. The lingering finish has notes of dark chocolate and spice. 94. 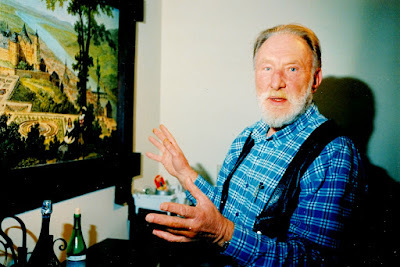 When Harry von Wolff, Nanaimo’s pioneering winery owner, died in 2005 at age 71, there was unfinished business at his Chateau Wolff Estate Winery. One item was completing a full roof over the winery’s production building, which is just half covered. Harry had ordered a new roof but it arrived shortly after his death. It was returned to the manufacturer. Matt and Natalie Riga, the new owners who revived Chateau Wolff in 2014, put on the new roof last summer. It was part of a renovation of the production facility that included installing a temperature-controlled barrel cellar. But they kept the gravity feed design designed by Harry to move wine gently, without pumping. They have, in fact, been careful at preserving the legacy of Harry. They retained the name of the winery even though it had been closed almost a decade when they bought it. They have researched both the history of the property and Harry’s biography. Even though the brand was dormant, Harry’s spirit lives on because he was such a larger-than-life figure. He had been a member of an old family of landowners in Latvia until World War 11. The Soviet occupiers of Latvia sent his father, who had been a German officer, to a Siberian prison camp from which he was not released until 1955. The rest of the von Wolff family took refuge in Poland and then postwar Germany. Harry, with his mother and grandmother, immigrated to Canada in 1953. He worked on an uncle's ranch in British Columbia's Peace River country for a year and then began a peripatetic career through fifty-eight different jobs over eleven years. A hotel management course in Switzerland led to a career in the hotel business that fostered his interest in wines. He managed hotels in such locales as Haiti, the Queen Charlotte Islands and Jasper. In 1977, Harry and his wife, Helga, moved to Nanaimo and another bewildering career change: he opened a shoe repair shop. Eventually, that became the Island Boot and Saddle Shop, marketing western wear to the equestrian set. Harry took to wearing black Stetsons and belts with wide silver buckles. He also became a competent amateur winemaker. After planting a few vines at his home, Harry began looking for property at the outskirts of Nanaimo for a vineyard. In 1987, he and Helga bought an eight-acre site. The timber he harvested helped pay for the vineyard and to import vines from France. He made his first commercial vintage in 1996 and opened the winery in 1998. He expected to be making wine for a couple of decades. Sadly, that was not to be. After his death, his family and other winemakers continued to grow and sell the grapes while try to sell the property. 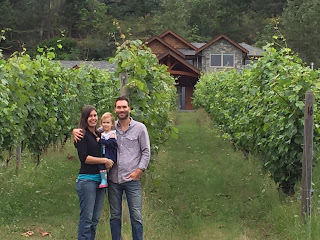 By the time Matt and Natalie came along in 2013, the vineyard was in rough shape. Even so, the mature vineyard, mostly planted in 1990, appealed to them. “Old vines produce less wine but they produce better wine,” Matt says. Wines goes with that. They were soon looking for winery properties. They found that Chateau Wolff was for sale. It was the opportunity they wanted to return to Vancouver Island late in 2013. Matt set about pruning and rejuvenating the vineyard. To make their first vintage in 2014, the couple recruited Mackenzie Brisbois, a consulting winemaker from Prince Edward County in Ontario. “She showed us the ropes in both the vineyard and the winery,” Matt says. “It worked out really well. I had underestimated what goes into winemaking and tending to a vineyard. She returned to Ontario after that vintage, with Matt and Natalie handling winemaking in subsequent vintages. They have learned well. The wines are clean and fresh – perhaps one instance where Harry’s legacy is not honoured. His Pinot Noir, for all that he kept it simple, was usually over-extracted, probably because he punched down the cap so frequently during fermentation that he actually got up at night to do it. 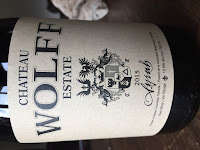 Here are notes on three current Chateau Wolff wines. The best place to find them is in the tasting room. The tasting room also has a very small release of Chardonnay and, soon, a 30-case release of a bottle-fermented cider from the cider and heritage apple trees on the property. 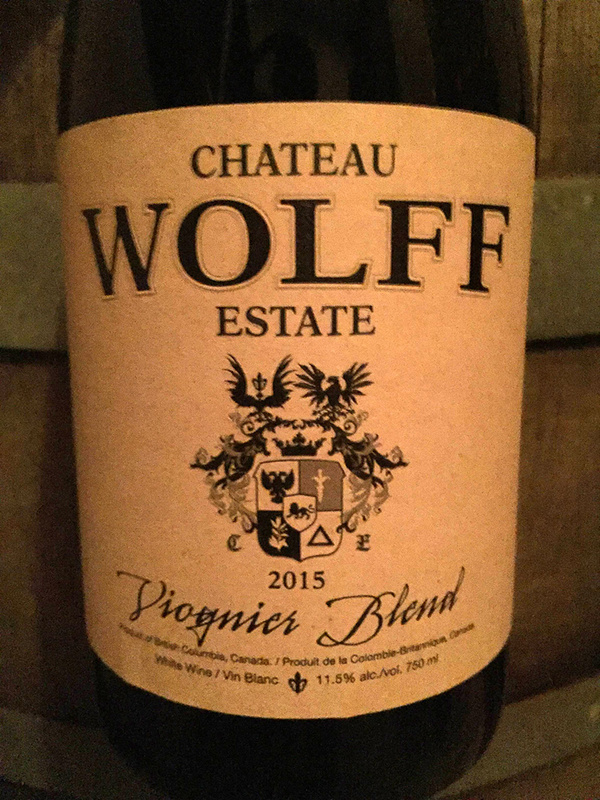 Chateau Wolff Estate Viognier Blend ($18 for 110 cases). This is a blend of 85% Viognier – grapes both from the Nanaimo Estate and from the Okanagan – with estate-grown Siegerrebe and Bacchus. The wine has delicate floral and herbal aromas, with flavours of grapefruit and melon. It is crisp, lean and dry – the perfect wine for seafood. 88. 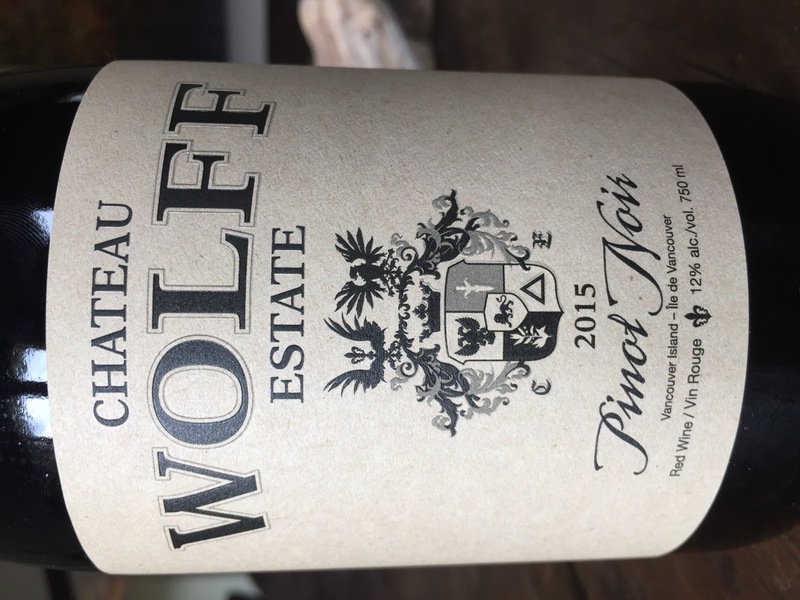 Chateau Wolff Estate Pinot Noir 2015 ($25 for 165 cases). A wine with a good colour, this begins with aromas of cherries and plums. On the palate, the cherry flavours are complimented with spicy oak from the nine months the wine aged in French oak. The tannins are evolving nicely toward what Harry would have admired in a Burgundy. 90. 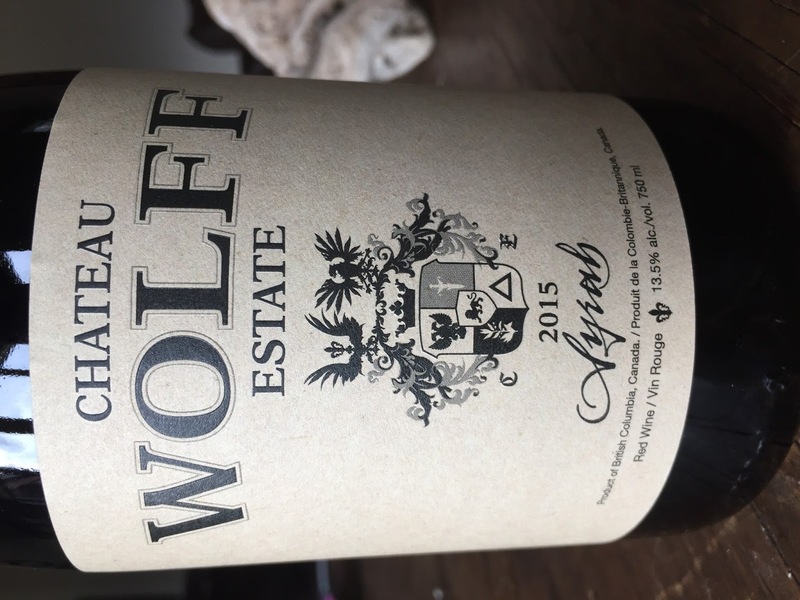 Chateau Wolff Estate Syrah 2015 ($25 for 185 cases). The grapes are from a small vineyard on the Naramata Bench from which the winery also bought fruit for its 2016 vintage. The wine aged in French oak for 12 months. The wine has a hint of white pepper in the aroma, along with dark fruit, which is echoed on the palate. 90. A New Zealand wine tour some years ago included two days in Marlborough. The majority of wines tasted by our group were Sauvignon Blanc, the signature white of the region. Because of the cool growing conditions, most of the Marlborough Sauvignon Blancs are high in acidity. After a day of wine tasting, one member of our group skipped the second day to go to the dentist. The wines had exposed a cracked filling of which she had not been aware until that day. Toothaches can be an occupational hazard with New Zealand winemakers and wine tasters. One winery owner told us that she dreaded the vintage because of the painful aches she had to endure while assessing – by chewing them – the grapes in her vineyard. Those memories came back when I was tasting 2016 releases from Therapy Vineyards at Naramata. The Sauvignon Blanc, with 7.8 grams of acid per litre but just 5.3 grams of sugar, took me right back to Marlborough. The grapes were picked early in the harvest and still at less than 20 Brix. The wine is light, with 11.6% alcohol, but with fresh and bracing flavours. It is clear that Steve works hard at shaping his wines. The 2016 Gewürztraminer fermented on the skins for nine days, an unusual approach. The 2016 Pinot Gris, however, only had a two-hour cold soak. The winery’s popular white blend, Freudian Sip, includes six grapes fermented with five different yeasts. The rosé is blended with juice of four grape varietals. Here are notes on the current releases. Therapy Gewürztraminer 2016 Estate Vineyard ($20.99 for 114 cases). The wine presents with a light gold hue, the result of having fermented nine days on the skins (with wild yeast). The aroma recalls Sultana raisins and that is echoed in the fruit salad of flavour. The texture is rich and viscous. This controversial wine is not a mainstream Gewürztraminer but it has appeal to those who follow the rising natural wine styles. 87. Therapy Pinot Gris 2016 Tada Vineyard ($19.99 for 545 cases). The Tada Vineyard is in Summerland. The wine begins with aromas of apples and nectarines. On the palate, there are flavours of apples and melons. The finish is crisp and clean, making for a very refreshing wine. 90. Therapy Riesling 2016 Schweinle Vineyard ($19.99 for 402 cases), The Schweinle Vineyard, which Therapy manages, is on North Naramata Road. This appealing dry Riesling, with just 11.7% alcohol, begins with somewhat muted aromas of lime and pineapple. Since the wine was just bottled on January 30, the aromas have only now begun to develop. Give the wine another two or three months of bottle age. The wine has lime, apple and grapefruit flavours. The moderate alcohol makes it easy to finish the bottle. 90. Therapy Sauvignon Blanc 2016 Sutherland Road Vineyard ($19.99 for 504 cases). Winemaker Steve Latchford emulated the New Zealand style, producing a zesty, bracing wine with herbal aromas and grassy flavours of lime. The alcohol is a moderate 11.6%. 88. Therapy Freudian Sip 2016 ($17.99 for 2,920 cases). This is a six-grape blend fermented with five different yeasts. The blend is 30% Gewürztraminer, 23% Pinot Gris, 18% Chardonnay, 15% Riesling, 9% Sauvignon Blanc and 5% Viognier. The wine begins with aromas of tropical fruits with a spicy accent. On the palate, there are flavours of ripe apple, nectarine and mango. The touch of residual sugar on the finish adds texture and easy drinkability. 89. Therapy Pink Freud 2016 ($17.99 for 1,020 cases). This rosé is a blend of 56% Pinot Noir, 33% Merlot, 10% Pinot Meunier and 1% Dunkelfelder. The wine begins with aromas of strawberry, apples and even red licorice, followed by a bowl of fruit on the palate. This juicy wine will be a hit in the tasting room but I would prefer just a touch less of residual sweetness. 88. In its recent newsletter, Upper Bench Winery & Creamery noted, with understandable pride, that about 10,000 visitors had been in the tasting room in 2016, a new high. The numbers should not be surprising for a winery still within the city limits of Penticton. Yet the winery never saw such numbers between 2001 and 2010, perhaps because the two previous owners produced just mediocre wines. Upper Bench attracts visitors now because Gavin Miller crafts excellent wines while, Shana, his wife, makes outstanding cheeses. The Millers teamed in 2011 with silent partners (Wayne and Margareta Nystrom) to take over a winery from the bankrupt Holman-Lang group of wineries. Under two sets of previous owners, the winery had struggled. The Millers, however, had managed a remarkable turnaround. In 2016, Upper Bench produced 3,500 cases of wine and seems to be selling out everything. That is certainly also true for the cheese, the volumes of which are not published in the newsletter. Shana learned how to make cheese at Poplar Grove, the original cheese producer on the Naramata Bench. I don’t know whether Poplar Grove now sees Upper Bench cheese as competition. In my view, these complement each other in raising the stature of artisanal cheese making in British Columbia. The quality of the Upper Bench wines reflects the efforts Gavin has made in the field, including applying organic techniques in the 7.5-acre vineyard. He trumpets his viticulture when he prints on the back labels the tonnage per acre he allows the vines to produce. Clearly, savvy consumers have begun to pick up on that. Conventional wisdom says that Cabernet Sauvignon struggles to get ripe on the Naramata Bench. But consumers can buy the Upper Bench Cabernet with confidence when they see the production was just 1.8 tons an acre in 2013. Left to their own, the vines likely would have produced twice as much fruit. The back-label information is assurance that Gavin imposes a disciplined production regime on the vines. The six current releases all taste like well-grown wines, with concentrated flavours and textures. Upper Bench Riesling 2016 ($23 for 672 cases). This wine begins with citrus aromas leading to intense flavours of lemon and lime. Bright acidity is balanced with just the right amount of residual sugar, with the result that the wine has good weight and finishes dry. Gavin has emerged as a leading Riesling producer. 90. Upper Bench Chardonnay 2015 ($26 for 400 cases). This wine was 50% fermented and aged three months in new French oak; and 50% fermented and aged in stainless steel. The minimal oak treatment imparted a creamy texture to this fruit forward wine. The flavours mingle notes of marmalade with peach. 91. Upper Bench Pinot Noir 2014 ($28 for 305 cases). The dark colour alerts one to expect a big and bold Pinot Noir. The wine begins with cherry aromas leading to intense dark fruits with a spicy note of oak om the finish. The texture silky. 90. Upper Bench Cabernet Franc 2014 ($30.50 for 93 cases). This wine aged 18 months in French oak (25% new). It begins with a medley of aromas – black cherry, blackberry, vanilla. Full bodied, the wine delivers ripe flavours of plum and cherry with spice on the finish. The texture is concentrated, reflecting the low tonnage (2.69 tons an acre). 90. Upper Bench Estate Merlot 2013 ($38 for 116 cases). Low cropping (2.6 tons an acre) in a good vintage produce a big, ripe with 14.9% alcohol well balanced by the fleshy texture. The wine begins with aromas of black cherry, black currant and vanilla, leading to flavours cherry, black currant and pomegranate. There are notes of dark chocolate, vanilla and menthol on the finish. 92. Upper Bench Estate Cabernet Sauvignon 2013 ($38 for 108 cases). The wine’s alcohol (14.6%) results from cropping the vines at 1.8 tons an acre. There is ripe dark fruit on the nose and the palate. The wine begins with aromas of black currant, cola and cedar. With adequate time to breathe, it delivers flavours of black currant, black olives and black cherry with savoury herbs and cedar on the finish. The wine was aged 20 months in French oak (40% new). The tannins have enough grip to suggest this wine can be cellared at least until 2023. 91. Pat Bell, one of the owners of Northern Lights Estate Winery, a fruit winery in Prince George, has a story about himself which sums up why fruit wineries battle to be taken seriously. When he was the BC Minister of Agriculture from 2005 to 2008, he discovered the good grape table wines of the Okanagan. One summer, he and his wife swung through wine country, filling their vehicle with wines. On the way back to Prince George, they came upon the Bonaparte Bend Winery at Cache Creek. Not having heard of the winery, they stopped at the tasting room. “When I discovered they only had fruit wines, we walked out,” Pat said recently, a little embarrassed to admit it today. In 2013, he launched a fruit winery with his son, Doug. When they built Northern Lights, they bought some production equipment and wine from Bonaparte Bend, which had just closed. He told that anecdote at a recent meeting of leading fruit wineries. The owners had assembled, along with government and wine industry experts, to brainstorm ideas to raise the profile of fruit wines. The fruit wine industry believes it has achieved critical mass in BC. There are about 25 licensed fruit wineries, along with about a number wineries making both grape wines and fruit wines. There is also a growing number of cideries. Cider sales are on fire, both in BC and across North America but fruit winery producers are still developing a following. 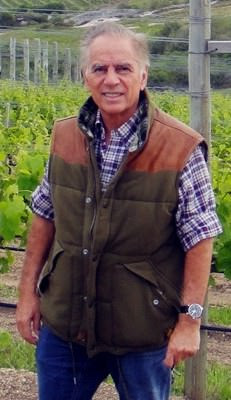 Pat Bell’s business and political careers have put him in unique position of leadership among the fruit wineries. He and Tommy Yuan, head of Canada Berries Winery in Richmond, put together the recent brainstorming session. Enough was achieved that the group is planning a second meeting in mid-June to advance strategies for the fruit wineries. · The wineries lack access to the sales channels for VQA wines because the VQA program, as currently administered by the British Columbia Wine Institute, does not extend to fruit wines. · As a result, fruit wines do not enjoy the markup rebate that VQA wines get. That means a much lower margin on fruit wines. One participant at the meeting told of netting just $1 on a bottle of wine that retails for $16 or $17 if sold through liquor stores. · Fruit wineries are not invited to take part the tastings and other public events organized by the VQA wineries. · Fruit wineries are not part of the grape wine industry’s quality assurance program. The VQA program was vital to the credibility of grape wines when the BC wine industry was reinventing itself in the 1990s. · And there is no single voice that speaks for the fruit wineries in the market place and in discussions with government. After the recent meeting, about a dozen of the leading fruit wineries are now on the same page, at least to a degree. Canada Berries is more focussed on exporting fruit wines to Asia (Tommy Yuan argues they go well with Asian food). For Pat Bell and most of the others at the meeting, the domestic market has a higher priority. Everyone seems to agree the fruit wineries might benefit from being associated with a quality standards program. They will now begin a conversation with the BC Wine Institute as well as the BC Wine Authority. I think it unlikely that the BCWI’s 160 member wineries would agree anytime soon to share market and promotional channels with fruit wineries. They might agree to take on government relations. If not, the fruit wineries seemed prepared to establish an association of their own. A quality standards program might be set up with the BCWA. The authority is an independent body administering the VQA tasting panels and the appellation and sub-appellations. Its audits ensure that only BC grapes are used to produce VQA and other BC wines. The authority, on a fee for service basis, could do the same for fruit wineries. Some consumers are buying fruit wines but the volumes are modest. The quarterly market report from the BC Liquor Distribution Branch shows that fruit wine sales in the three quarters of 2016 ending in December totalled $3,632,717. That was barely one percent of total BC wine sales in that period. If you are in the fruit wine industry, there is just one way to look at that figure: there is a lot of room for market growth. Here are the wineries and the wines that were tasted. Canada Berries Winery: 12791 Blundell Road, Richmond, V6W 1B4. This winery in the heart of Richmond opened in 2006 as Sanduz Estate Wines. Several years ago, it was acquired by entrepreneur Tommy Yuan, president of the Canada Asia Business Network. Canada Berries Raspberry Princess ($NA). The wine presents with a deep garnet hue and with berry aromas that explode from the glass. The flavours are tart and the wine is dry. 87. Canada Berries Cranberry Princess ($NA). This wine slots nicely into the dry rosé category. It begins with aromas of cranberry and cherry and delivers spicy cranberry flavours. 88. Canada Berries Blackberry Prince ($NA). This is a deeply coloured full-bodied off-dry wine with concentrated berry flavours. There is a slight chemical note that takes away from the clean berry aromas. 87. Canada Berries Blackcurrant Prince ($NA). This is a classically bold, dark-coloured wine with dramatic aromas of cassis and mint. Even with some residual sweetness, the vibrant acidity gives the wine a dry finish. 89. Canada Berries Blue Queen Special Edition ($NA). This wine delivers ripe, juicy flavours of blueberries, with aromas that spring from the glass. 88. Canada Berries Blue Queen Gold Blueberry/Cranberry ($NA). Blending fleshy blueberries with spicy tart cranberries producing a good dessert wine, and one that is not overly sweet. 89. Elephant Island Orchard Wines opened in 2001. Owners Del and Miranda Halladay have since added several grape table wines and a cidery to the business. With a production of about 6,000 cases, Elephant Island is among the largest and most successful fruit wineries. Elephant Island Cherry 2015 ($18.39). The winery advocates this dry red wine for those who suffer from headaches when consuming dry red grape wines. This wine is dark in colour. The cherry flavours are slightly tart. The wine has the weight of a Beaujolais. 88. Elephant Island Framboise 2015 ($21.84 for 350 ml). This raspberry-based wine is fortified to 16% alcohol. There is excellent intensity to the raspberry aromas and flavours. The sweet finish is very well balanced and lingers a long time on the palate. 92. Krause Berry Farms & Estate Winery opened in 2012. It is an extension to the berry farm, food market and restaurant that Alf and Sandee Krause operate near Langley. The winemaker is Sandra Kiechle whose long career around the wine industry included almost 12 years with RJ Spagnols Wine & Beermaking Ltd. At Krause, she makes a portfolio of more than 20 wines. Krause Oaked Apple ($19.95). This is a blend of six apple varieties aged a short time in American oak. The wine is crisply dry with clean apple flavours. The oak adds a slightly spicy note to the finish. The texture is generous and the finish linger. 88. Krause Tayberry ($19.95). The tayberry, a cross between the blackberry and the red raspberry patented in Scotland in 1979, is not widely grown because the tasty soft berries do not ship well. They do make an exotic deep-coloured wine, judging from this example. The spicy, fruity aromas explode from the glass. The wine hits the palate with exotic, spicy berry flavours. The wine is dry and robust enough to pair with meat dishes. 89. Krause Sparkling Blueberry ($28.75). This is one of four sparkling wines made at Krause and one of two gold medal winners. This is a real winner – festive in the glass with aromas and flavours of freshly-picked blueberries. It is well balanced with a dry and refreshing finish. 92.
established in 2012 on a farm near Abbotsford where the Maan family has been farming since 1977. Before diversifying to wine, the family was already operating a successful farm market. A fire started by an arsonist damaged the winery and farm market in July 2012. The Maan family bounced back with a new building and tasting room. Laurente Lafuente, a French-born consulting winemaker and distiller, makes the wines here (and at several other fruit wineries). Maan Farms Strawberry Raspberry Blend 2016 ($23.10). The wine presents an appealing strawberry hue in the glass. Strawberry also dominates the aromas and flavours, with the raspberry adding complexity and restraint to the usual exuberant strawberry notes. The finish is long, with a touch of fruit sweetness. 90. Maan Farms Jovin Oaked Blueberry 2015 Limited Edition ($30.10). Only 23 cases were made of this wine. Full-bodied and dry, the wine has rich blueberry flavours, effectively enhanced by aging in French oak. One could take this for Merlot in a blind tasting. 91.
in 2014 east of Kamloops. Last year, it completed a spacious winery with a large tasting room. The object is to attract the tourists passing nearby on the TransCanada Highway. An aggressively managed business, Monte Creek in 2016 made 14,000 cases of grape wines and 3,500 cases of fruit wine. Monte Creek Blueberry Wine ($16.99). The owner of Monte Creek also is a major blueberry grower in the Fraser Valley. This wine is made from a blueberry variety called Reka, an early-season berry developed in New Zealand. The fruit wineries might add some mystique by promoting the varieties on the label, like grape wineries do. This is a full-bodied wine with flavours recalling blueberry jam. The wine has a spicy and reasonably dry finish and can go toe to toe with Merlot. 90. Monte Creek Haskap Berry Wine ($29.90 for 350 ml). Haskap is the name for the edible blue honeysuckle traditional with the Ainu people of northern Japan. Because of the berry’s claimed health benefits and its ability to grow in cool northern regions, the University of Saskatchewan has developed at least five varieties for commercial use. Monte Creek has one of the few plantings in BC. So little haskap is grown that the berries currently sell for about $10,000 a ton, twice the price of premium Okanagan Cabernet Sauvignon. The berry makes a juicy dessert wine with mouthfilling flavours recalling cherries. 90.
handsome winery and tasting room constructed in 2013 beside the Nechako River in Prince George. It is owned by Pat Bell, his son Doug, and their families. Christine Leroux, a veteran consulting winemaker from the Okanagan, is the winemaker here. This BC’s most northerly winery, an example of how the expansion of fruit wineries can take winemaking to non-traditional wine regions. Northern Lights Cuvée Blanche ($16.98). This is a blend of gooseberry, apple, apricot and rhubarb. None of the individual berries dominates this clever blend. It is a dry white with herbal and nutty notes mingling with the complex fruit. 88. Northern Lights Heritage Haskap ($23.99). This is a full-bodied, age-worthy red. Some blueberry has been added to the blend and all has been aged in Hungarian oak. The wine begins with aromas of cherry. On the palate, there are notes of cherry and mocha. Time in barrel has added a note of tannin. The finish is dry. 90.
fruit winery, with a grand opening planned for early May in the garden-like setting at its berry farm in the Fraser Valley, east of Abbotsford. It is owned by Paul and Caroline Mostertman. The winemaker is the ubiquitous Laurent Lafuente. Ripples Intemperance 2015 ($24.95 ). This concentrated red is made with three blueberry varieties (Reka 40%, Liberty 30%, Draper 30%). The wine has black cherry flavours with a robust and lingering finish. 88. Ripples Cupere ($19 for 375 ml). This is a dessert wine made with the same three blueberry as in the table wine. The residual sweetness gives the wine a juicy texture, with flav0urs of blueberry jam. 91. Ripples Antheia ($29 for 500 ml). Once again, the same three varieties of blueberries have been combined, this time for a fortified port-style wine with 17% alcohol. It is a wine with good intensity of berry aromas and flavours with what seems to be a hint of oak. 90.
north of Kelowna, one of a burgeoning number of new cider producers in BC. It is based on an orchard that grows traditional cider apples. Scenic Road Cider Nearly Dry ($NA). This is crisply fresh, delivering apple flavours and finishing with a bit of grip, a hallmark of the classic European cider varieties comprising 25% of the blend. 88. Scenic Road Cider Razz ($NA). This is a blend of Honeycrisp apples and raspberry. The cider has crisp, refreshing flavours of these two fruits. Pink and effervescent, it is a delightful alternative to a rosé. 90. 2004 on a farm that blueberry farmer Terry Bremner bought three years earlier. The winery itself is in a century-old barn while the tasting room is in renovated heritage grain storage building. One technique for introducing fruit wines to consumers is through the cooking lessons the winery offers. Wellbrook Wild Blackberry ($13.95). This is a dry table wine whose flavours echo freshly picked blackberries. The minimal exposure to seeds the wine had during processing imparted a complexing nutty hint on the finish. 88. Veteran winemaker Wade Stark took over the cellar at St. Hubertus & Oak Bay Estate Winery last spring. 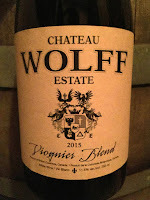 Judging from a recent tasting of 2016 wines still in tank in that cellar, Wade was a good hire by Leo and Andy Gebert, the Swiss brothers who opened this winery in 1992. In Wade, the brothers very likely have a winemaker who will stay around for a while. He has a degree in food engineering from the University of Guelph (his home town). “I thought at the time that was the program that would lead to a job in brewing or winemaking,” Wade says. At the time, Brock University had not developed its winemaking program. He got a taste for the wine industry in his final year with work-study assignments at various Ontario wineries. However, he started his career working in a Molson brewery in Barrie, ON (which closed in 2000 and, for a time, was converted to a grow-op). Wade was long gone by then. After eighteen months at Molsons, he was ready to move on. The colleague showed him an advertisement in the Toronto Star: Mission Hill Family Estate Winery was looking for a trainee technician. Wade had vacationed in the Okanagan Valley the year before and was struck by the beauty of the valley and the winemaking potential. “I responded to the ad right way,” he says. Mission Hill hired him in July, 1998. He was soon promoted to cellarhand and then winemaker, staying at Mission Hill for 17 ½ years. When Ganton & Larson Prospect Winery was launched as a sister winery at Mission Hill, Wade was assigned to be its winemaker and stayed there until moving on in 2015. Wade would hardly say it, but he came from a winery with all the latest equipment and technology to an artisanal winery in a former barn. St. Hubertus lost its original winery in the 20o3 forest fire. After moving out vineyard equipment from the barn, the winery resumed production there. Wade has all the equipment any winemaker needs but it is not pretty. Grapes have been grown on this southwestern-facing slope since the late 1930s. J.W. Hughes, a pioneering horticulturist in the Okanagan, purchased 235 acres in this district for vineyards. Once they were established, he arranged to sell them to his farm managers after 1944. The vineyard now owned by St. Hubertus was purchased by Frank Schmidt; he continued managing it after selling it to Growers’ Wines of Victoria. The new owners renamed it Beau Séjour after a wine brand. That sign remained above the gate for many years. When the Geberts opened their winery, they reversed the sign so that St. Hubertus faced the road. The old sign, after surviving the fire, finally came down several years ago (but is still preserved on site) when the entrance was spruced up. Leo Gebert bought the vineyard, then 55 acres, in 1984 after emigrating from Switzerland. The winery was opened after his brother, Andy, joined him in 1990. The vineyard has been expanded to 80 acres. The grape varieties grown here over the years have changed. Back in the 1960s, Frank Schmidt had a major success with a white table grape called Himrod. Growers’ Wines initially wanted to sell the wine as Canadian Liebfraumilch until deterred by the German wine industry. The last Himrod vine on the property was destroyed in the 2003 forest fire. Two of the oldest varieties here are Maréchal Foch and Riesling. This vineyard has clone 21B Riesling planted in 1978 (as well as 1989 and 2000). It is the same clone that makes the Old Vines Riesling at Tantalus and at Sperling Vineyards, also from 1978 plantings. St. Hubertus only began keeping its old vines fruit separate a few years ago. 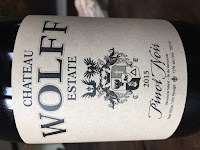 Before that, everything was blended into a pleasant and value-priced wine, in keeping with the Gebert preference for releasing affordable wines that sell. Wade Stark may not have the prettiest winery but he certainly has one of the Okanagan’s proven terroirs. Here are notes on the wines, beginning with the 2016 barrel samples, Wade’s first wines here. Chasselas 2016. This is the classic white grape of Switzerland. I am not sure whether the Geberts planted the variety here initially but I do know they have increased the acreage over the years. It makes a very pleasant white. This one has aromas and flavours of peach and apple, with a crisply refreshing finish. 90. Pinot Blanc 2016. As wine shows, this variety delivers lots of fruit, with aromas and flavours of apples. The finish is crisp. 90. Schönburger 2016. This delicious variety was developed in the 1970s at Geisenheim in Germany. With some Muscat in its background, it produces spicy wines. This wine has a spicy aroma and flavours of lychee and grapefruit. 90. Gewürztraminer 2016. This also has aromas and flavours of spice, grapefruit and lychee. The spice is more intense that the Schönburger and the wine has more weight on the palate. 90. Chardonnay 2016. The tank sample was a bit too young to assess, but it promises to be an appealing fruit-forward wine with good weight and a crisp finish. 88-90. Riesling 2016. This is a juicy wine with layers of flavour, including lemon and lime. The wine is balanced toward dryness but with a hint of residual sweetness. 90. Old Vines Riesling 2016. The old vines account for the great concentration of aroma and flavour. There is lime, lemon and peach on a full palate. It is all primary fruit now but, after a year or two in bottle, the classic petrol aromas will emerge. 92. Pinot Noir 2016. While this wine still has time to go in the barrel, it is promising, with aromas and flavours of cherry and strawberry and with the beginning of a silky texture. 89. The following wines are in bottle and on the market. Oak Bay usually signifies a reserve tier wine. St. Hubertus Chasselas 2015 ($19.50). This is a juicy and refreshing wine with flavours of peaches and pears. 88. St. Hubertus Great White North 2015 ($12.50). This is a blend of Pinot Blanc, Gewürztraminer and Chasselas created initially for a grocery chain in the U.S. The value is astonishing. The wine has spicy, herbal aromas and flavours, with a fresh, clean and dry finish. 88. St. Hubertus Riesling 2014 ($16.75). This is a fine dry Riesling with a hint of petrol on the nose and with concentrated grapefruit and lime flavours. 90. Oak Bay Gebert Family Reserve Riesling 2013 ($N/A). This is the Old Vines Riesling, with classic petrol in the aroma and with a steely minerality giving a backbone to layered flavours of lemon and lime. 92. Oak Bay Family Reserve Schönburger 2015 ($26). This is a fruit-driven wine with flavours of lychee and other tropical fruits mingled with spice. The wine is balanced to finish dry. 90. Oak Bay Family Reserve Pinot Noir 2013 ($35). This is a pretty wine, with spicy cherry flavours. 88. Oak Bay Gamay Noir 2013 ($18.50). Full-bodied, this wine has aromas and flavours of black cherry and plum with a pinch of pepper on the finish. 89. Oak Bay Foch 2014 ($22). Here is a wine for those who want a big, big red. It begins with a very dark colour. On the palate, the flavours are concentrated – there is plum, fig and licorice. There is just over 15% alcohol. 90. Oak Bay Family Reserve Northern Lights 2008 ($40). This is a pink sparkling wine from Pinot Noir, Pinot Meunier and Chardonnay. It spent 80 months on the lees before being disgorged. It has aromas and flavours of cherries and cranberries. The finish is crisp and dry. 88. The Vancouver International Wine Festival in 2017 including a winery from Uruguay. If memory serves, it was just the second time that an Uruguayan winery had been accepted to the festival. Uruguayan wines did not stick in the BC market on that previous occasion. This time, it will be different. Bodega Garzσn, the winery at the 2017 festival, is seeking to expand the handful of BC Liquor Store listings it secured as a festival participant with a determined push for an firm foothold in the market. The winery has a good agent: Renaissance Wine Merchants, which arranged a tasting of a dozen Garzσn wines recently for the trade in Vancouver. The group learned that a container of Garzσn wines are on the way to Vancouver, both to support liquor store listings and to support private purchase. These are excellent wines at reasonable prices; not cheap like some Argentine wines but fairly priced for the quality. The wines of Uruguay are seldom on the radar for Canadian consumers for the same reason almost nobody there has heard of Canadian wines. Both industries are small in world terms. Currently, there are 190 wineries in Uruguay and 9,000 hectares of vines – about the same size as the Ontario wine industry. Small does not mean uninteresting. Uruguay is well-known for robust reds made with a French varietal called Tannat. According to the Jancis Robinson book, Wine Grapes, the variety was mentioned first in 1783-84, connected with vineyards in Madiran in southwestern France. Tannat (right) now can be found in numerous wine regions, including the Okanagan, but it is especially well established in Uruguay. Bodega Garzσn opened in March 2016 with about 280 hectares of vineyards, about 100 km east of Montevideo and not far from Punte del Este, a seaside resort for the rich and famous. The vineyards, planted since 2007, opened up a new viticultural area, not far from the Atlantic. The proprietor is Alejandro Bulgheroni, a wealthy Argentina petroleum engineer with a growing stable of wineries in Australia, California, Italy and his native Argentina. The British Columbia connection is Alberto Antonini, the internationally-renowned Italian consultant at Bodega Garzσn who has also advised the development of the Okanagan Crush Pad Winery in Summerland. Antonini was retained by Bulgheroni in 2007, initially to pronounce on the suitability of the Bodega Garzσn site for vines. “My experience with Uruguayan wines had not been very good,” Antonini says. He concluded that a lot of the Tannat vines were planted in soils that were too heavy and too fertile. The soil at the hilly Bodega Garzσn site, however, is leaner with more minerals. It also was a virgin area for vines. “There was not even one vineyard around,” Antonini recalls. On his advice, vines were planted on small blocks on slopes throughout the property. The object is to protect the biodiversity. 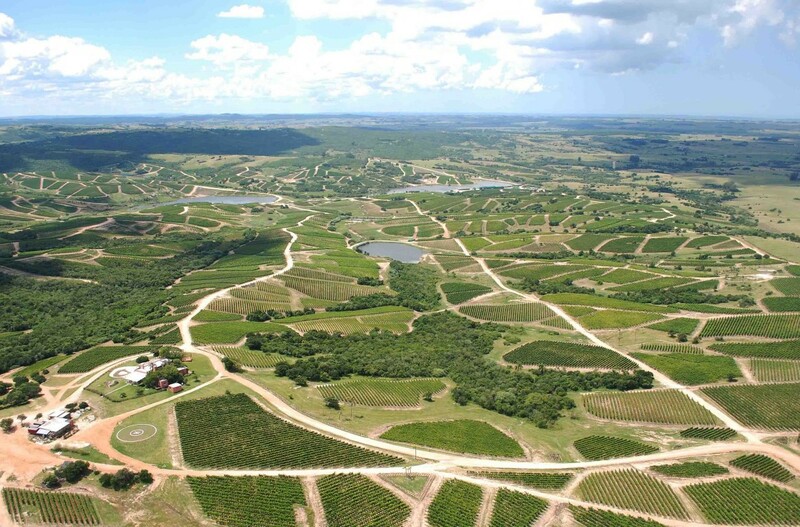 That would have been compromised if the land had been contoured to allow the planting of an ocean of vines. There is another benefit to the manner in which the vines are planted: Bodega Garzσn is an exceptionally attractive property. So is the winery, a vast 205,000-square foot facility perched on a hill overlooking the vines. Both the New York Times and CNN Travel have singled out Bodega Garzσn as a significant tourist destination. Those are but two published endorsements of the winery. Bodega Garzσn appears to have pursued considerable media attention in the travel and wine press. The winery may well have achieved a higher profile in just a year than most other Uruguayan wineries. With all of his clients, the Tuscany-based Antonini had advocated concrete and large oak vats for fermentation and wine storage, with minimal use of stainless steel. Okanagan Crush Pad, for example, has replaced all of its barrels with concrete eggs and concrete tanks. Antonini advocates using wild yeast for fermenting wines. Wild yeast is happier living in concrete or wood. Bodega Garzσn has ample volumes of concrete eggs and large vats. “I don’t know why we should use commercial yeast when Mother Nature provides you with tons of native yeast on the grapes,” Antonini says. That is typical of the many provocative views he has on winemaking. What is in the bottle, however, backs up Antonini’s winemaking. At the recent Vancouver tasting, Bodega Garzσn’s portfolio included four white varietals: Pinot Grigio, Sauvignon Blanc, Viognier and Albariño. Albariño, a Spanish white variety, was especially impressive, with fresh floral aromas and clean, fresh flavours of citrus and melon. The Bodega Garzσn Albariño 2015 poured at the Wine Festival is priced at $24.39. The two at the recent tasting were Reserve and Single Vineyard wines. Reserve wines generally are priced at $29.99 and Single Vineyard wines generally are $52.99. The red portfolio is primarily Tannat or blends with Tannat. The Tannat 2014 which was poured at the festival also was $24.39. It is now sold out. The shipment of wines on its way here includes a Tannat Reserve 2015 ($29.95) and a Tannat Single Vineyard 2015 ($52.99). I scored them 91 and 92 respectively. Both are full-bodied reds with power. There were two other reds of special interest. The Petit Verdot Single Vineyard 2015 ($52.99), a bold and powerful red, is one of the best Petit Verdots I have ever tasting (92). The Marselan Reserve 2015 T $29.99 (91 points) is a delicious curiosity. Marselan is a cross of Cabernet Sauvignon and Grenache, developed in 1961 by plant breeder Paul Truel at a research station near Montpellier in the south of France. He wanted to create a productive variety with large berries. The outcome was different, according to the entry in Wine Grapes. “Marselan turned out to have small berries and was initially neglected because it did not offer the high yields prized then,” the book says. It only entered the official register of varieties in 1990 when the variety’s quality and good disease resistance was recognized. By 2009, about 6,000 acres were being grown in France, mostly in the Languedoc and the southern Rhone. Without a doubt, Bodega Garzσn’s wines are solid and will bring notice to Uruguay wines in markets around the world, including our own.